Detail of the school of Athens fresco. 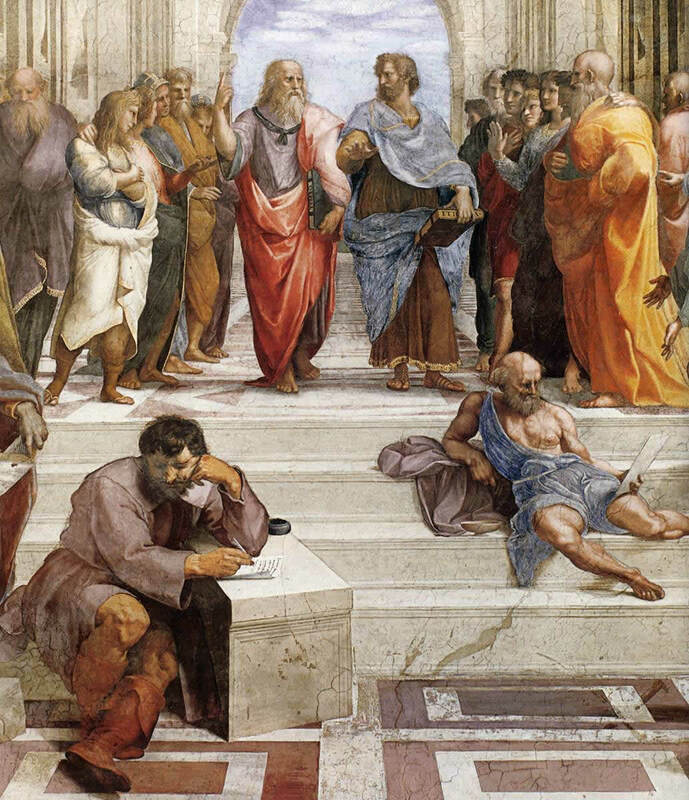 On the steps in front of Aristotle rests the Cynic philosopher Diogenes, with the cup that he tossed away. At his right Heraclitus is seated while he is writing. Select image for a larger view.